Sunshine Coast Patios are a favourite outdoor extension for many homeowners. At Excelfit, we recognise the importance of a good patio design and that is why we take it upon ourselves to design all the aspects of a patio so that it can accurately reflect your taste and personality. We leave no stone unturned when it comes to delivering the best Sunshine Coast Patio possible for our customers. A well-designed patio is where families relax as well as offer privacy, safety and security. It’s a place to enjoy the company of friends and the great Queensland climate. It’s also a sanctuary that you can use to just relax by yourself on a quiet evening or weekend, with your favourite drink in hand. As a patio specialist that has been in the business for more than 15 years, we are a safe pair of hands. We take pride in every patio we build. Custom built Sunshine Coast Patios are our speciality and it’s an art that we have been perfecting for many years. We can work with any type of space to fit your needs and budget. Apart from that, we can also build patios made of solid timber or steel materials according to your preference. You might like to also take a look at our Sunshine Coast Pergolas for more inspiration. Sunshine Coast Fly-over Patio is where the new addition overlaps the top of the roof of the house. It is the most popular type of patio on the Sunshine Coast. The basic premise is that due to the fall required for drainage a patio of several metres might not have enough head height towards the edge of the patio. Hence by starting the structure over the roof space, it creates more head height and assists with ventilation. Your tall friends will love you too! 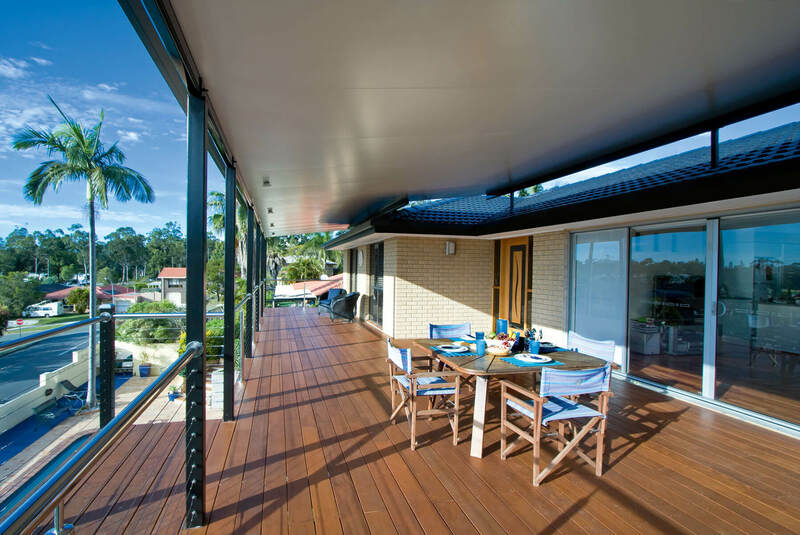 Sunshine Coast Fly-over Patios come in a range of materials such as steel and timber. Excelfit only sources the highest quality materials from leading suppliers. You can rest assured your patio investment will pay dividends for many years to come. 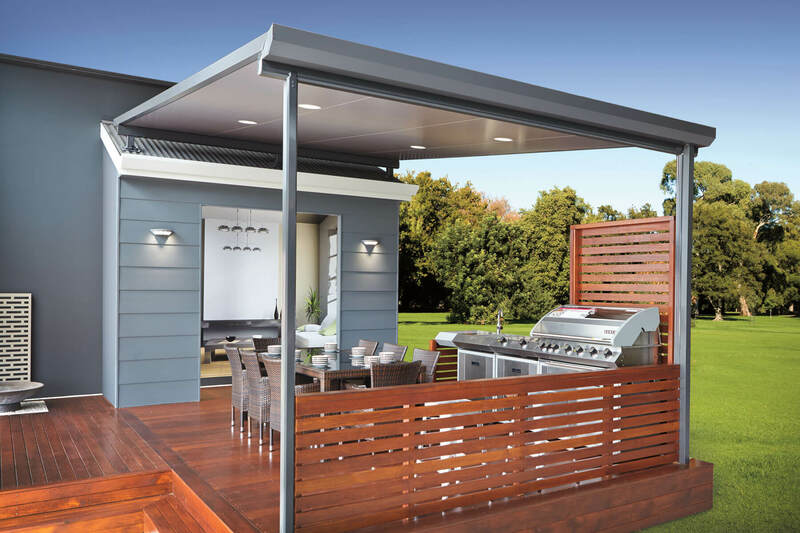 Excelfit can build to your requirements a Sunshine Coast Steel Patio, this offers the structural integrity and durability of steel while still offering the basic features of timber, but without the disadvantages of rotting, twisting and painting. Excelfit can add on a Shade Blade which offers cool relief from the harsh summer sun, allowing free air movement through the structure. However, the unique design of the blades, enable the warming winter sun to filter through. Each blade has a small gutter which provides protection from light rain and drizzle. 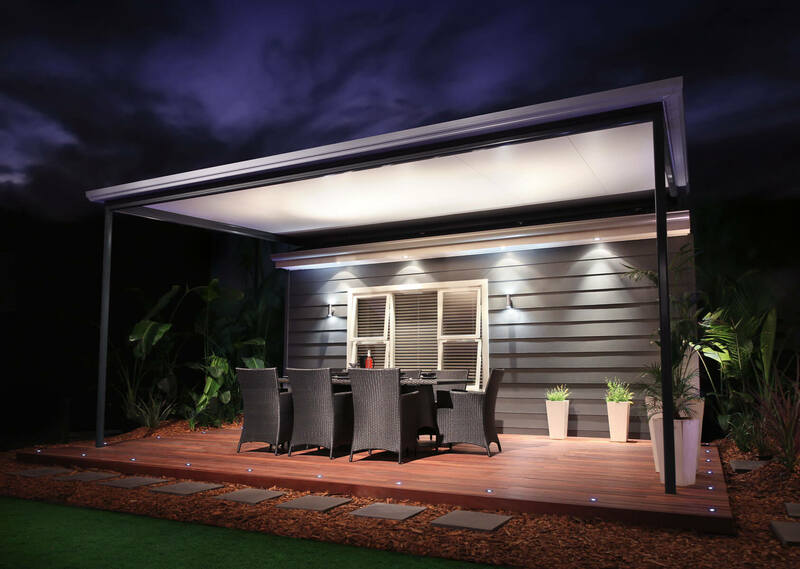 Sunshine Coast Steel Patios are ideal if you are looking for a modern, contemporary look while most people opt for timber if they want to achieve a rustic look for their home. 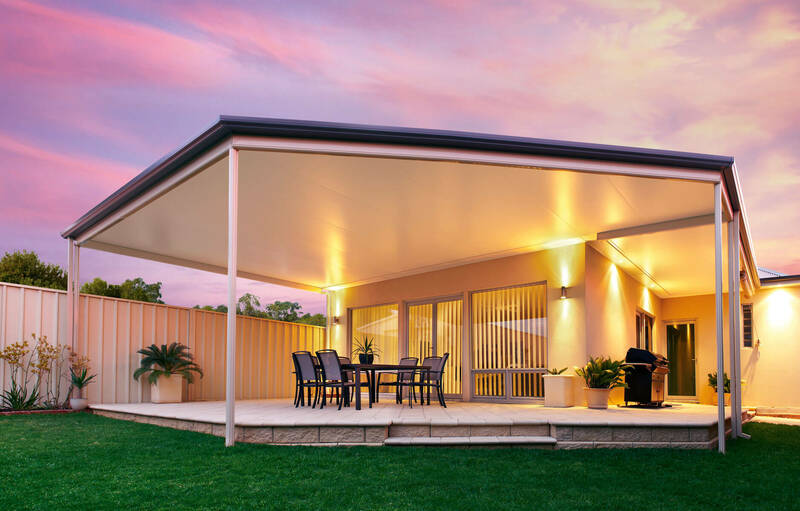 In the end, the choice of materials is a personal one and it depends on how well you want the pergola to match the rest of your home. If you would prefer the traditional look Excelfit can build you a Sunshine Coast Timber Patio. Our timber Patios can also be covered by using the Shade Blade. However no matter what choice you make, Excelfit has the design nous and manufacturing expertise to deliver a beautiful yet durable Sunshine Coast Timber Patio that you can enjoy without any problems for many years to come. This is because we use only the best raw materials that will stand up to the harsh weather conditions such as rain, sleet and hot sun. Call us today if you are looking for the best quality Sunshine Coast Patios. 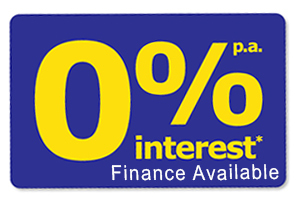 We are available at any time and would be delighted to discuss your patio needs in more detail on 0409 658 140.